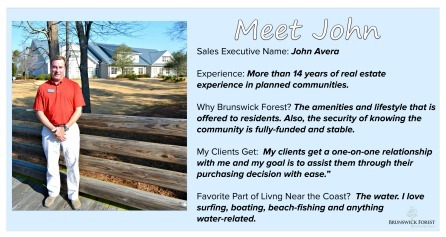 Meet John Avera, the newest member of the Brunswick Forest Sales Executive Team! 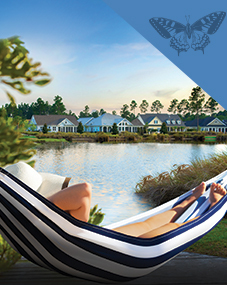 John brings more than 14 years in planned community experience and has sold properties in a number of communities in Brunswick County. 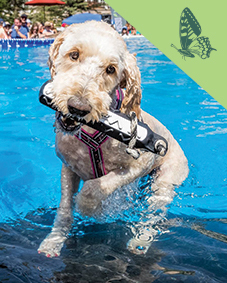 John has a deep love for the ocean and likes spending time surfing whenever possible. A native to Southeastern North Carolina, John is well-acquainted with the area and its many beautiful waterways. Like many of the residents that choose to relocate to this area, John loves all of the opportunities it offers for boating and fishing as well as the Wilmington area’s cultural opportunities and family-oriented way of life.